Delta Sigma Pi is the Professional Fraternity, for men and women pursuing a degree in business, founded on May 19, 1934. We are the oldest Greek charter on campus and the premier professional fraternity. Throughout the semester we hold events open to the entire campus that promote professional development and leadership. After 80 years of brotherhood at Rider University, we are one of the oldest continually operating chapters and continue to promote scholarship, professional development, and social activity for each member of the Fraternity. 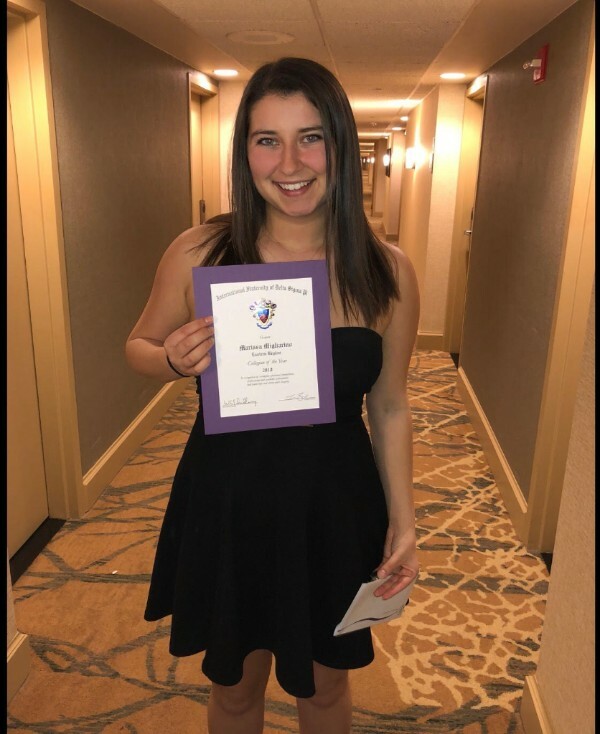 At the 2018 Spring LEAD Provincial Conference on of our own Brothers, Marissa Migliarino, won Eastern Region Collegian of the Year. The award is presented annually to an outstanding collegiate member of Delta Sigma Pi who has exemplified the values and ideals of the Fraternity, and is presented on the regional, provincial, and national levels based on nominations from collegiate chapters. The award recognizes an individual for his or her contributions, achievements, participation, and personal character.